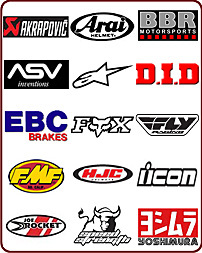 Introducing the EVS RC-EVOLUTION race collar system. Providing the ultimate in neck protection, the RC-EVOLUTION has been designed from its inception with the assistance of top orthopedic professionals to reduce neck compression and extension related injuries (the cause of serious spinal chord damage). •Modular collar for easy ergonomic fit. •Hook and loop connection for on-the-fly attachment and detachment. •Adjustable height allows a customized fit. •Soft rubberized leading edges for added comfort. 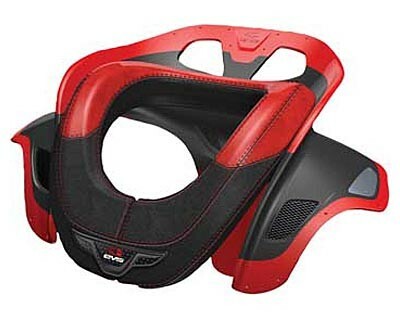 •Structural back and shoulder support. •Mesh covered vents to increase airflow. •No buckles, bolts or screws involved. •Soft hidden tether for optional chest protector attachment. •Removable so you can pull it off and throw it in the wash.
•Vented liner has sculpted contours for breath-ability and airflow. •Reinforced padded straps to keep the system secure. •Buckle-less sternum strap (hook and loop) for micro size adjustment. Available in black, blue, red, white, and pink in sizes youth, medium, large, and X-Large.